BitTorrent Now offers on-demand streaming of music and videos via a mobile and web application. 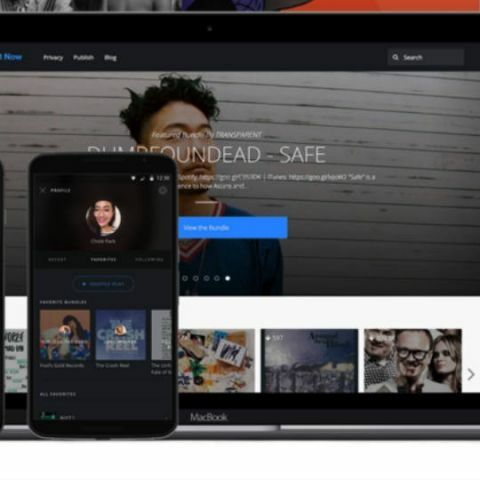 Much like other streaming services, the app allows users to create their own playlists, follow favorite artists for updates. Although the platform is only financed by advertising, users can also purchase content at any time. BitTorrent Now is notably featuring upcoming Indie artists on its homepage and looks to give them more exposure. Originally, BitTorrent Bundle was a music download site for new content from artists free or for a few dollars. Moby, Lady Gaga and Thom Yorke(Radiohead) are a few of the notable artists to also release exclusive content on the platform. Earlier this year, BitTorrent launched BitTorrent Live, a P2P online streaming platform. Unlike most streaming services that use the HTTP protocol to stream, BitTorrent Live uses the P2P protocol which made each viewer a broadcaster as well, essentially making for lesser delay and better performance becuase of its decentralised model.